While those toiling in show business were not unknown to put in cameo appearances behind the gates of Berkeley Square—there were, as we've seen, Thompson Buchanan, Douglass Montgomery, Carole Landis, and, most notably, the great Ann Miller—for the most part Hollywood wasn't attracted to the street. Too stuffy, too bourgeois. 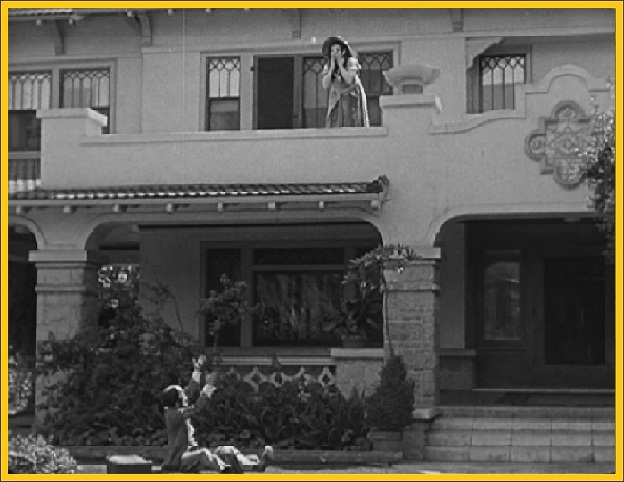 While the likes of Theda Bara and Fatty Arbuckle once challenged the patience of the establishment when they lived in West Adams in the early 1920s, stars soon found that life could be lived far more grandly in the hills of Beverly. After Mary Pickford and Douglas Fairbanks bought the Beverly Hills country place of Lee Allen Phillips (he of 4 Berkeley Square) and the press dubbed it Pickfair, West Adams was largely the back forty as far as Hollywood was concerned; the district was already being challenged for exclusivity by swankier suburbs even among the establishment beginning in the '20s. One big movie personage did have a long presence on the Square, however. Not a Duesenberg-driving screen star, but, rather, a producer: Hal Roach of #22, who drove a Chevrolet. the film refer to it as "22 Mozart Square." Roach did not build #22; he didn't arrive on the Square until 1920. Lot 17 was first acquired from William R. Burke along with Lot 16 by retired eastern merchant Francis Eugene Bacon in December 1909. Bacon then built his own house on Lot 16, later addressed #24; on July 5, 1912, he was issued permits to build what was to become #22 next door, apparently on spec. As is suggested by images of their façades, Bacon used the same architect, the esteemed Frank M. Tyler, for both houses. We know that #22 stood empty after it was completed until it was sold in April of 1914 to George Merritt Jones, owner of the Merritt-Jones Hotel at Ocean Park. The arrangement of the bays and porches of both #22 and #24 is the same, as is the glazing on both façades. Only the entrance canopies seem to differ; somehow Los Angeles Times real estate reporters decided that the design of #22 was Italian Renaissance and that of #24, Spanish Mission. Jones, described, perhaps inevitably, as a "capitalist," was a Kentuckian born in 1861. He arrived in Los Angeles in 1895 and began as a developer; a partnership he formed soon after was responsible for much of the subdivision of Ocean Park, now mostly a Santa Monica neighborhood, and parts of Venice. While he lost heavily in the great Ocean Park fire of 1912, apparently he still had the $37,500 to shell out for #22. Later in the decade Jones rented to the William Walden Grays, who were in the process of building their new house at 1 Berkeley Square. Enter the Roaches. Hal and his wife, actress Marguerite Nichols, had been living at 1624 South Van Ness before paying George Jones $45,000 for #22 in August 1920. Hal arrived in Los Angeles just seven years before he bought his Berkeley Square house to find work as a movie extra. While he was certainly athletic and pulchritudinous enough at 21 for starring roles, his fascination with film was with the scene behind the camera, where he rose rapidly to become a major producer of comedies. Born in Elmira, New York, in 1892 to relative affluence, his arrival in Hollywood was by way of mule-skinning in Alaska and selling ice cream in Seattle. 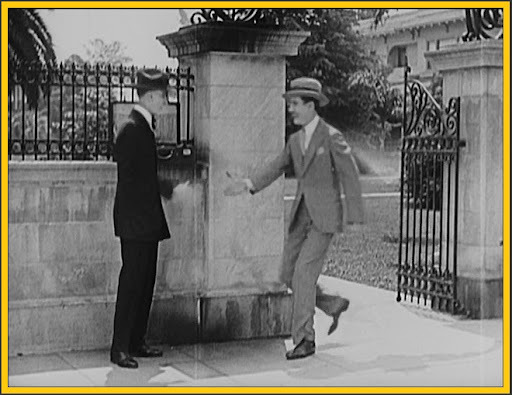 His association with Harold Lloyd is legendary, and was his Charley Chase series, not to mention the timeless little rascals of his Our Gang comedies. It is not known how the life of privileged children on a genteel gated street influenced the latter, but no doubt Hal Jr. (born 1918) and Margaret (born 1921) had their gangs of adventurous pals on Berkeley Square, perhaps not as ethnically diverse, unmaterialistic, and parent-free as their screen counterparts, but children with clubhouses and passwords just the same. Hal Jr. and his Square cronies did grow up to be a bit more sophisticated than the Our Gang urchins might have. 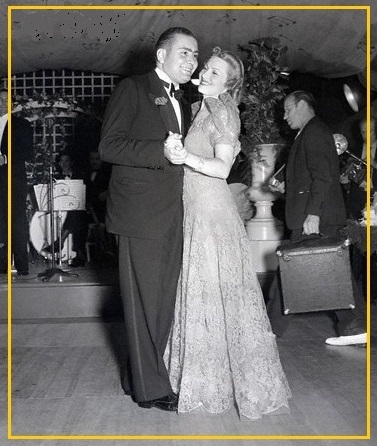 Before Willis Hunt Jr. of #3 had married and divorced starlet Carole Landis—who had been Hal Sr.'s employee in the late '30s before her infamous affair with Rex Harrison and 1948 suicide—he was married to Hancock Park oil heiress Dolly Brewer. Dolly obviously had a thing for the young rakes of Berkeley Square; her next husband was none other than Willis's pal Hal Roach Jr. Such goings on. "Spanky" McFarland; and William "Buckwheat" Thomas. 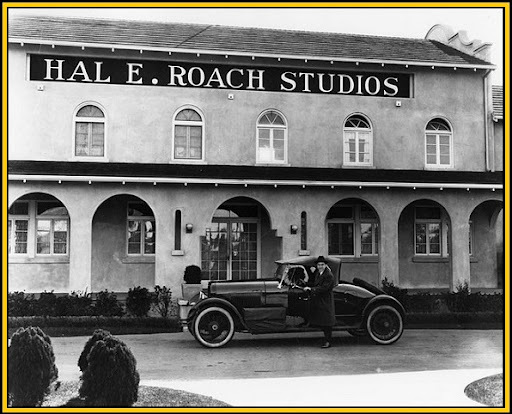 While film was his primary interest, Hal Roach was a smart enough businessman to know not to put all his assets into one field of endeavor. In the early '20s he became a partner in Clippinger-Kincaid Chevrolet, with showrooms downtown at Seventh and Central. For his own car, instead of a big showoffy Isotta-Fraschini, Hal had Bohman & Schwartz—who would later do the custom Buick seen in the Roach-produced Topper of 1937—create an oxymoronic Chevrolet town car, complete with exposed driver's seat. 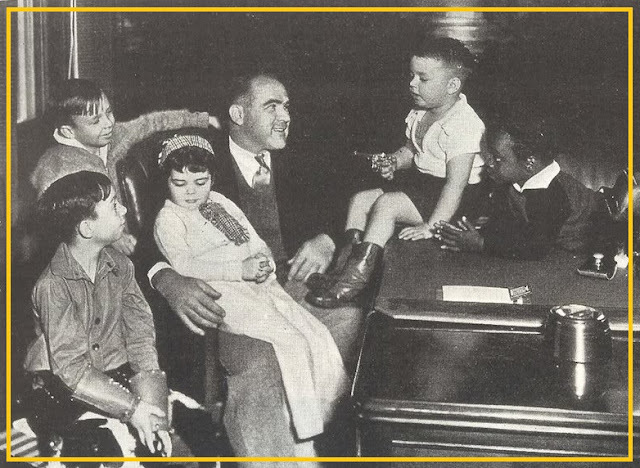 While he may have had a car with a speaking tube, Hal Roach seems to have been a popular figure around town, at least for a while, for his down-to-earth affability and, not surprisingly, good humor. He knew his way around Hollywood but was equally at home among the establishment, playing golf with downtown burghers and keeping a cabin among them at the Uplifters Club out in then-rustic Pacific Palisades, sort of a Bohemian Club with wives. Roach enjoyed the ponies with the big boys, too, serving as the first president of the Los Angeles Turf club, which owned and operated the track at Santa Anita. One serious misstep in Roach's career was his formation of RAM Productions, the "M" standing for Mussolini. This widely criticized American-Italian venture with the rising fascist dictator lost him a great deal of respect among his Hollywood peeps. While he would be remembered by most in his later years for his contributions to film and entertainment, it is of interest (if not suggestive of a chink in his character) that Roach retained pride in his relationship with Il Duce, reportedly displaying a signed portrait of his friend in his home until he died in 1992 at age 100. But RAM or no RAM, Roach had made the pile that would afford his departure from Berkeley Square and inevitable move to Beverly Hills. (now "bling") with a shop at 9167 Sunset Boulevard. At right, Roaches junior and senior, 1942. "TREMENDOUS SACRIFICE" began the classified ad in the Times that ran for months in the first half of 1939. "Exclusive Berkeley Square—completely rebuilt 2 story, 5 bedroom, 4 bath, with PROJECTION ROOM at a small fraction of the orig cost." Roach's asking price of $25,000 was $20,000 less than he had paid for the house 19 years earlier and a quarter of its valuation in the 1930 federal census—an indication of the Depression, nervousness about war in Europe, as well as of the decline of West Adams. The district's houses were getting too expensive to maintain and, like the Victorians before them, had become increasingly unfashionable. 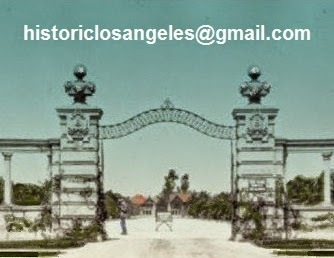 While the Square would remain exclusive as long as it lasted for whomever lived there, and some old-timers would stand fast, others sought newer and more stable neighborhoods such as Hancock Park or Pasadena, others less-dense surroundings such as Beverly Hills, Bel-Air, Brentwood, and Palos Verdes. While aging Berkeley Square houses might have been expensive to maintain, civil engineer Daniel M. True saw the bargain in Roach's loss. He and his wife Hazel were living at #22 by 1940, as was her father, an Old Angeleno who no doubt had supplied many Square households with their potables and comestibles over the years. 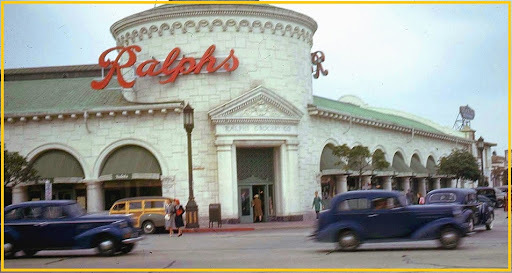 Walter Benjamin Ralphs of the pioneer grocer Ralphses was born in San Bernardino in 1854, soon after his Mormon parents' arrival in California by Studebaker (Studebaker Conestoga, that is). Walter would grow up to enter the nascent family business in 1875 in the town still not much bigger than its beginnings as tiny, gunslinging El Pueblo de la Reina de Los Angeles. He joined his brother George, who had opened the store two years earlier at Sixth and Spring. Walter Ralphs, old in years as well as old-guard, was long retired from the grocery business by the time he moved into #22 with the Trues. Sadly, after only a short time on the Square, Hazel Ralphs True was to die on October 17, 1940, at age 51. Daniel wasted little time in acquiring her replacement, Josephine Graham, who arrived on Berkeley Square with her mother, Clara. By the end of 1942 Walter had moved into 366 South Hudson with his son Walter W. Ralphs. (Dad, like his #22 predecessor Hal Roach, would live into his 100th year, expiring just five months shy of his centennial in 1954.) Curiously, "beauty operator" Angelina Seyffert was listed in city directories in the early '40s alongside the Trues; perhaps the eldest lady of the house needed frequent permanent waves, at least as long as she lasted: To round out a busy few years of life transitions at #22, Mrs. Graham expired at home on October 6, 1943. The new Daniel M. Trues would remain in-law free on the Square until 1955, the longest tenancy at #22 aside from the Roaches. Berkeley Square was changing rapidly, with new buyers coming online after the U.S. Supreme Court struck down restrictive property covenants in 1948. Many of these reprehensible practices were instituted in the 1920s to preserve property values in West Adams as it was just beginning its slide; in a reminder that nostalgia is perilously blind, their institution was accepted and even praised in the national press. While the market for the big houses of Berkeley Square had now opened up, and prices had fallen, the old barns still had to be maintained—and prices for that had only gone up. If there was any principal tenant after the Trues departed, I have not found him. Leola Baxter was listed in the 1956 city directory at #22, but she was also listed at #8 that same year at the home of her employers since at least 1950, the Paul Nourses. A Frances Jordan is also at #22 in the 1956 directory; the address does not appear at all in the next available issue, that of March 1960. It could be that by the mid-'50s #22 was something of a boarding house, as might several Square houses have been, judging by the number of names attributed to them. Los Angeles voter rolls from 1956 through 1962 indicate that Nathan and Bell Z. Harley, Strother E. Floyd, Louie Muse Jr., Henry McClain, Aaron L. Taylor, Alfred Simpson, and Emelia Hernandez were at various times claiming residence in the old Roach place. Once the route of the Santa Monica Freeway was finalized to run through the north side of Berkeley Square in the late '50s, much of the south side, including #22, was acquired by the Los Angeles school board for expansion purposes. The board received permits to demolish the Roach house on May 15, 1961. All its brick and granite, all its oak and mahogany and tile, was soon shattered and carted away in the name of progress.